EDD supports terms and conditions but only one set. 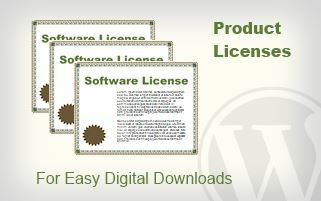 If you sell multiple digital products you may want	different licenses to apply to each of those different products. You are able to create as many licenses as you need and include a summary,	either as a reminder for yourself or to show your clients. The add-in installs 5 open source licenses: MIT, Apache, GPLv2, GPL (lesser) v2 and GPLv3. It also installs an example EULA commercial license.